The Ellis Act was the natural consequence of rent control — allowing a landlord to go out of the rental business for a handful of reasons — including developing the property to a higher use (which, of course, is one which would give the property owner a chance to profit as they left what had become an unprofitable business). The only people who complain about “displacement” are renters who have to this point profited from renting controlled properties at rates even lower than the costs the landlord incurred maintaining the property. When that happens, expect the landlord to either abandon the property completely, become a slumlord, or try to do something else to recover his or her value in the property. Good luck with your endeavors, but socialism never helped anyone, and it won’t now. Thanks for your comment, I always love hearing other peoples views when it comes to unaffordable housing development. You aren’t going to find out without asking the landlords and developers. 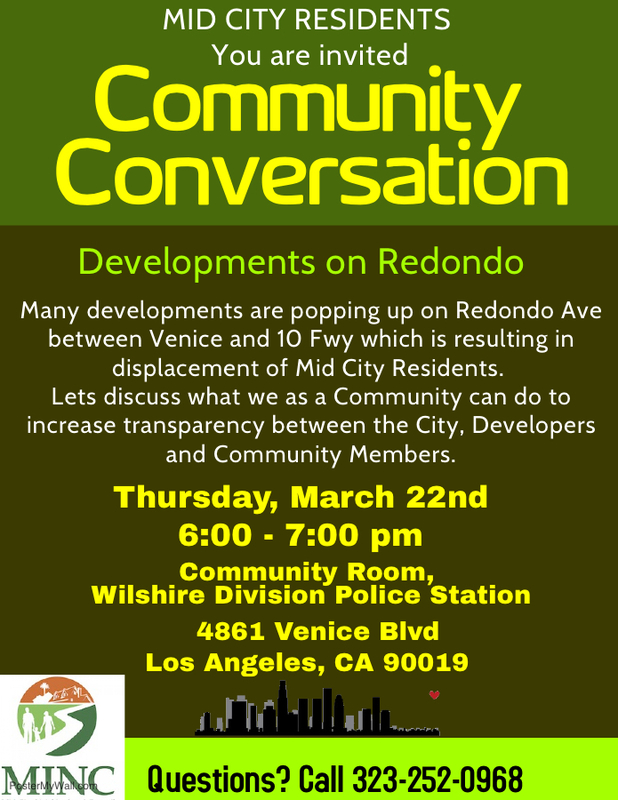 Asking the echo chamber of “LA Tenants Union” or “Community Members” won’t work. Nobody has ever stopped gentrification, which is the opposite of the “positive action” you desire. The City has no reason to do so because the sales of properties works to drive up property taxes, and the City always wants the most taxes it can get off of any parcel of land. In places where the City has acted to create “affordable housing” (aka “the projects”), crime is rampant, and affects those low-income individuals around the locale of “the projects”, sending property values downward. Note that the map indicates gentrification (aka “unaffordable housing development”) over a single census interval (one decade), and that gentrifying areas tend to be surrounded by areas that either already gentrified or were inelegible to gentrify (because either they gentrified in a previous census period or already had the population which would cause gentrification elsewhere — people with high education and income. Whenever such people move into a lower income area, they improve the area and drive up housing costs — and values. Note where your Redondo Ave neighborhood lies — surrounded completely by areas which long ago gentrified. What’s happening is that your neighborhood is an opportunity for people of means to snap up properties at lower cost (properties there average half the cost of properties in adjacent gentrified areas) and to own a home in the red hot real estate areas of west and central L.A. As you can see from the interactive map, no matter what the “LA Tenants Union” or your “concerned Community Members” do, the gentrification of your area is a done deal. Hopefully, you and yours own property there, so you can benefit from the sharp upswing in property value. The fact that you are writing this article indicates that you have an education level equivalent to your new neighbors — indeed, that’s another aspect of gentrification, and in fact is its definition — the education level of the inhabitants goes up, their median income improves, and their willingness to tolerate blight and crime goes down; in my estimation, you have a much better neighborhood as a result.